Has everyone been keeping up with their 2014 goals so far? One of my goals was to catch up on my reviews and stay that way. That's one of the reasons for doing mini reviews. Another is because I don't have enough concrete things to say about certain books. They might be good, but what else do you say? Same things go for "meh" books or DNFs. So shall we begin? Big-hearted Chloe Camden is the queen of her universe until her best friend shreds her reputation and her school counselor axes her junior independent study project. Chloe is forced to take on a meaningful project in order to pass, and so she joins her school’s struggling radio station, where the other students don’t find her too queenly. Ostracized by her former BFs and struggling with her beloved Grams’s mental deterioration, lonely Chloe ends up hosting a call-in show that gets the station much-needed publicity and, in the end, trouble. She also befriends radio techie and loner Duncan Moore, a quiet soul with a romantic heart. On and off the air, Chloe faces her loneliness and helps others find the fun and joy in everyday life. Readers will fall in love with Chloe as she falls in love with the radio station and the misfits who call it home. First line: I love being a burrito. Chloe is the loud, spunky girl who loves attention and can work a crowd. Her personality can also work against her when her best friend becomes jealous and she realizes a little too late. I personally loved Chloe because she's who I would love to be all the time, but even then, I got a little exhausted reading her narration because she is 100% an extrovert. While a few things were very close to being out of reality, I thought the story was overall very cute. I found myself smiling as Chloe fought through problems and met new people. I enjoyed getting to know the opposite Duncan and the sharp Clementine. At times, even I was annoyed with Chloe, but that was supposed to happen. The main thing, though, is that our main character had growth throughout the story and I had fun watching it happen. Verdict: Super cute contemporary read involving a radio show and some romance. Katsa has been able to kill a man with her bare hands since she was eight - she's a Graceling, one of the rare people in her land born with an extreme skill. As niece of the king, she should be able to live a life of privilege, but Graced as she is with killing, she is forced to work as the king's thug. She never expects to become Po's friend. First line: In these dungeons the darkness was complete, but Katsa had a map in her mind. I thought about writing a full-fledged review, but then realized that I should save my fangirling emotions the anxiety of having to write something intelligible. This is another book that reminds me why fantasy comes from fantastic. We have strong Katsa, who reminds me of my beloved Alanna, and then the wonderful Po, who I instantly loved. We saw them trust each other and bond, then journey together, and finally, grow even closer. I loved seeing the process and it felt so real. The romance didn't dominate the great story that Cashore constructed, but it was a great component to the whole. Thankfully, Jasprit and I decided to read the sequels together so I'll have a buddy throughout my emotions and someone for me to squeal to. Source: an eARC provided by the publisher for an honest review. When Riley first gets the postcard tucked into her bag, she thinks it's a joke. Then she finds a birth certificate for a girl named Jane Elizabeth O'Leary hidden inside her baby book. Riley's parents have always been pretty overprotective. What if it wasn't for her safety...but fear of her finding out their secret? What have they been hiding? The more Riley digs for answers, the more questions she has. The only way to know the truth? Find out what happened to Jane O'Leary. First line: "No, Riley. No way." I wanted to love this. 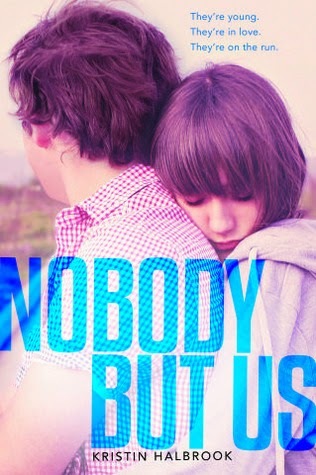 I wanted to love this so much that I would have mini dance jams and squeeze my iPad tight as I read this e-galley on it. It fell flat for me. Basically, my mom's pancakes are fluffier. My first problem was that this is a YA novel and it read like an MG to me. Riley and her best friend read too juvenile for me. Secondly, everything felt so stilted. The dialogue, the actions, the pacing...it was as if the author was pushing for something that just shouldn't happen. So I read nearly halfway until I gave up, exhausted with my efforts to pursue a book I had no interest in. I skimmed to the end and realized I didn't care about that either. I know some bloggers are vehemently against DNFing, but I thought it was best that I use my time wisely and I think it would be appreciated all around if I didn't go deeper so that I didn't end up with a lengthy rant. First line: He comes down the road in his Camaro sliding left to right on the freshly oiled gravel and skidding to a stop in front of my house. I went into this with trepidation since I worried it might not be my kind of read, but I now feel bad that I even received this because, yes, this is another DNF. I didn't make it far, but I made it far enough to know that I don't care about either character. Will promised to not be like Zoe's abusive father, but we see he has a short temper (leading him to be physical) and quickly gets annoyed with Zoe. Usually, that means he will turn into the very thing he said he wouldn't be. Then there's Zoe who's very dependent on her boyfriend, turning from one horrible male figure to another future one. They think they're in love and because they're teenagers in love, going on the run "away from their problems" is the perfect solution, right? Well, I knew that was this book's plot, but I thought the execution of their running away was done poorly. Too much stupidity for me to allow them anymore grace. Verdict: No emotional connection for me to allow further annoyances to continue. Thank goodness I wasn't the only one. I hope you like NBU better than I did! I don't DNF, but it's stupid and I totally agree with you. It's like this little loose end that nags me forever so I have to finish. UGH. YES. I absolutely fell in love with her. Hope you like it more! LOL - 100% extroverts ARE exhausting, but I love all of the ones in my life. It sounds like a fun book. 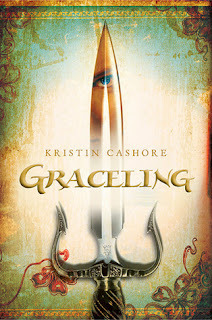 And I SO need to read Graceling. I'm usually hesitant about fantasy, but I just KNOW I have to read it. Haha - and Nobody But Us is definitely NOT a HEA. Oh, it's a great fantasy. From what I've heard, Nobody But Us seems to be the kind of book that you either love or don't care about enough to continue, and it's too bad that your feelings fell into the latter category. Those characters do sound annoying enough to be worthy of a DNF. See Jane Run sounded really good, but it doesn't seem as appealing either after reading your review. "Stilted" is one adjective that you should never have to use to describe dialogue - it pains me to read a conversation in which the author is obviously trying too hard. I'm glad you had better experiences with the first two books, though! Welcome Caller, This is Chloe does sound cute, and it has one of those funny opening lines that make you want to keep reading. And as an introvert, it can be refreshing, if exhausting, to read about extroverts. Thank you, yes! I cringe if something seems too forced in fiction, especially dialogue. It's one of those uncomfortable aspects. I was just thinking that out of all the opening lines that I put in here, This Is Chloe was the one that I liked the most. I've not heard of any of these books, but I just wanted to say that I think your mini reviews idea is a brilliant one! I have not read any of these books yet, but Graceling has been recommended to me a few times now, I think I need to try it eventually! Please do! It's one of my favorites now. You know what's weird? I DNFd GRACELING the first few times I tried it, but when I finally read it I looooved it! I'm glad you ended up loving it, too. I'm curious what you'll think of the sequels, though. Well it took me a while to start it, but at least you kept trying and ended up loving it! I still haven't read Welcome Caller...but it does sound cute. Yay for the Graceling love! I have so much love for that series myself. Yet, I still haven't read Bitterblue yet. What's up with that? 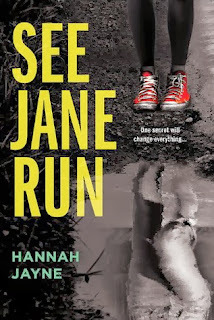 I knew better than to request See Jane Run after I read another of the author's books last year and nearly DNF'd it myself. (Why is it so hard to do that?!?) And I wasn't really feeling Nobody But Us...I had zero connection with those characters either, and the end left me staring blankly, open-mouthed, and completely in a WTF mindframe. Great mini reviews, Summer! You summed up your reactions to each book nicely. The end of the series syndrome? Don't want to finish it, maybe? Ugh, I wish I had known about the author's earlier book. Oh man. I now want to go back, skip to the end, and see what that was all about. So much love for Katsa, Po and Graceling! I'm glad you have a reading buddy for Fire. I still need to read Bitterblue. Graceling was my favorite so far but I hear a lot of people prefer Fire. Can't wait to hear what you think!